You’ll see elephants everywhere you go in Sri Lanka: working on a tea plantation, running wild in national parks, and leading the Esala Peraha parade in Kandy in all their bejewelled and sequined glory. 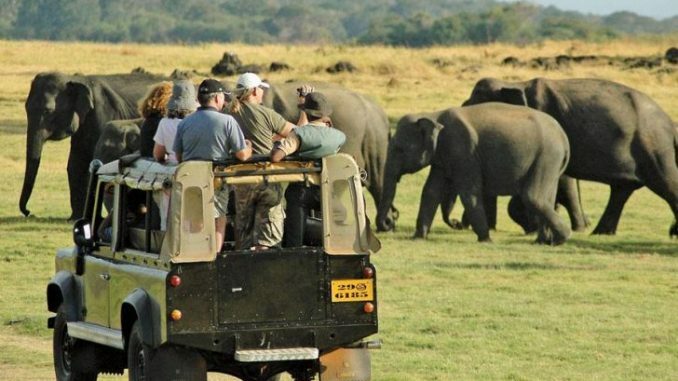 Uda Walawe National Park offers you your best chance of seeing elephants roaming free. Created to protect the watershed of the enormous Uda Walawe Reservoir, this park is home to around 400 pachyderms and has extensive stretches of grassland as well as scrub jungle and riverine forest. It is one of the best places to go birdwatching in Sri Lanka too.